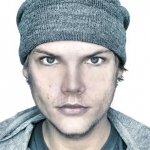 The 23-year-old Avicii wrote this song with the 71-year-old songwriter Mac Davis, who is a member of the Songwriters Hall of Fame thanks to his Elvis Presley compositions, which include "In The Ghetto" and "A Little Less Conversation." Davis lent a timeless story to the song, comparing his unconditional love for a girl to a drug addiction. It's a storyline that has permeated many hits, including '80s classics by Robert Palmer and Huey Lewis & the News. Davis said that he wrote this song the way he always does: sitting for hours with his guitar on his lap. He said in Rolling Stone that Avicii is like "a mad scientist, with his computer and his focus," adding, "I may be an old fart, but I love EDM." Audra Mae is the vocalist on this track - she can also be heard on another cut from the album, "Long Road to Hell." Mae is an Oklahoma singer/songwriter who also performed on "Beekeeper's Daughter" by The All-American Rejects. The song's Bonnie and Clyde-themed music video stars Swedish actresses Hedda Stiernstedt and Madeleine Martin as two ill-fated lovers who embark on a wild cross-country crime spree. The clip was filmed in December 2013 over the course of six days.